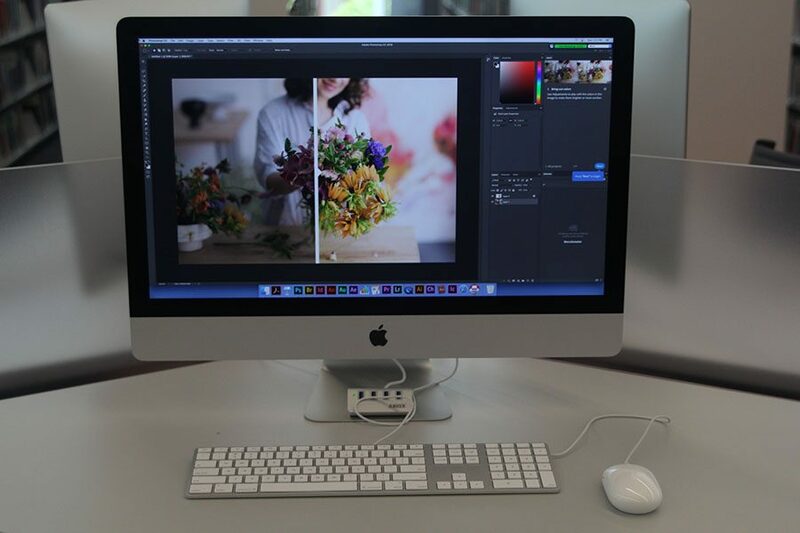 Software programs like Adobe Photo Shop and Indesign can be accessed by anyone with a Johnson County library card. Electronic directories make locating items much easier for the community. As you walk through the newly opened doors of the Monticello library and take your first look around you will undoubtedly see technology almost everywhere you look. The new technology at the Monticello library has given the community a high-tech workplace with new computers, fast Wi-Fi and a new book checkout system that have lead to a more attentive staff. The technology at the Monticello library includes 6 iMac’s,16 Desktop PC’s, new self checkout kiosks, a faster room reservation systems, an ample amount of plugins and a strong Wi-Fi connection throughout the entire building to allow patrons to use the library for an array of tasks. 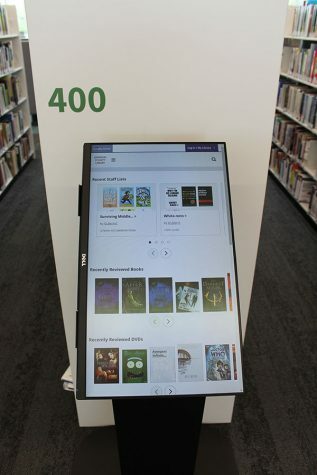 The new technology allows community members to check out their own books, rather than having to use a librarian. For the libraries information technology manager Michelle Beesley, the new technology has permitted the staff to become more efficient. 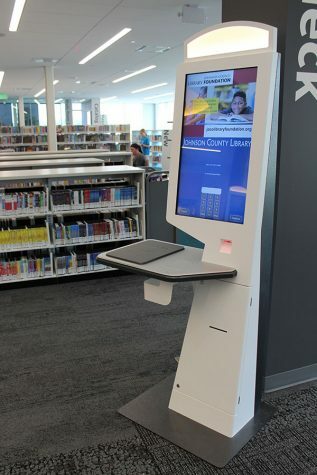 “The … [technology] handling equipment allows staff to spend more time assisting patrons and less time checking materials in and out,” Beesley said. With all the new technology, junior Thomas Babcock has found that the new library will be be a great place for Mill Valley students. For Beesly, the new book checkout system is another important piece of technology the library has to offer.